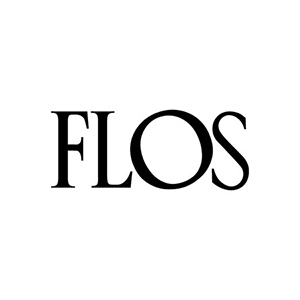 Flos has been crafting objects of light and shedding brightness on generations of dreams for fifty years. For the company, light is the substance for expressing new ideas and illuminating unexplored emotions. The brand writes the future, reading its past and expressing the present, in a continuity of positive challenges and bold choices that have shaped its image and identity. Its history has taught it to fan the flames of provocation with research into new poetic notions of functionality. Trusting its intuition has always allowed it to create products that become icons, establishing new typologies and innovative archetypes. Connecting with masters of design. Discovering new talents. Commanding high technical and technological status. Staying tuned into mass culture. These qualities always place the brand at the cutting edge. Experimentation opens the way for it to use revolutionary materials - as in the past with Cocoon - and hi-tech solutions, today represented by OLEDs and eco-sustainable materials. By conceiving new languages around light, the company charts new aesthetics and freedoms for living. The lamps, of yesterday and today, never fail to be serious about their sense of play and irony. On the fine line that divides and unites art and design, craftsmanship and industry, the limited edition and larger scale manufacturing, an individual's idea and the collective imagination. That's the place of Flos.